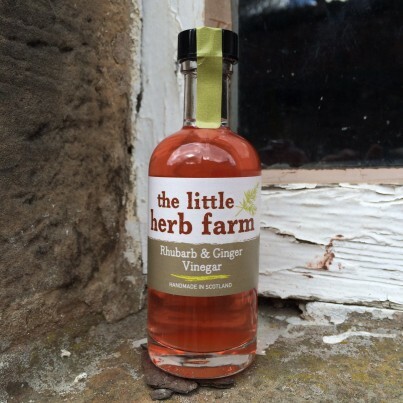 A fabulously fruity vinegar with a tangy bite! Category: Sweet Fruit & Herb Vinegars. Mix with walnut oil for a delicious vinaigrette or use to stew rhubarb then serve with vanilla custard and crumbly shortbread. For a delightful summer drink dilute with lemonade or sparkling water. Ingredients: Rhubarb, Sugar, White Wine Vinegar, Root Ginger. Shipping costs are calculated according to the weight of the items and the destination, and will be automatically calculated at checkout. Due to customs restrictions and prohibitive shipping costs we are unable to deliver our products outwith these areas. As we are a small business, please allow 7-10 days for delivery. If you require a quick turnaround for a special event, please let us know and we will do our best to accommodate you.